It is believed by many cultures that the person who receives this glare will have disaster and misfortune brought into their life, as well as physical and mental illness. In many cultures, excessive praise or receiving admiration beyond what is truly deserved can bring upon the scorn of the evil eye. Ashkenazi Jews believe that excessive praise causes a vulnerability to the evil eye, and will repeat a Yiddish phrase, “Keyn aynhoreh!” meaning “no evil eye” in order to protect against it. Although having the glare of the evil eye cast upon you is considered harmful, wearing an evil eye is believed to provide protection against evil forces. The evil eye is a popular trend in jewelry today and can be seen on many celebrities as a stylish jewelry statement. 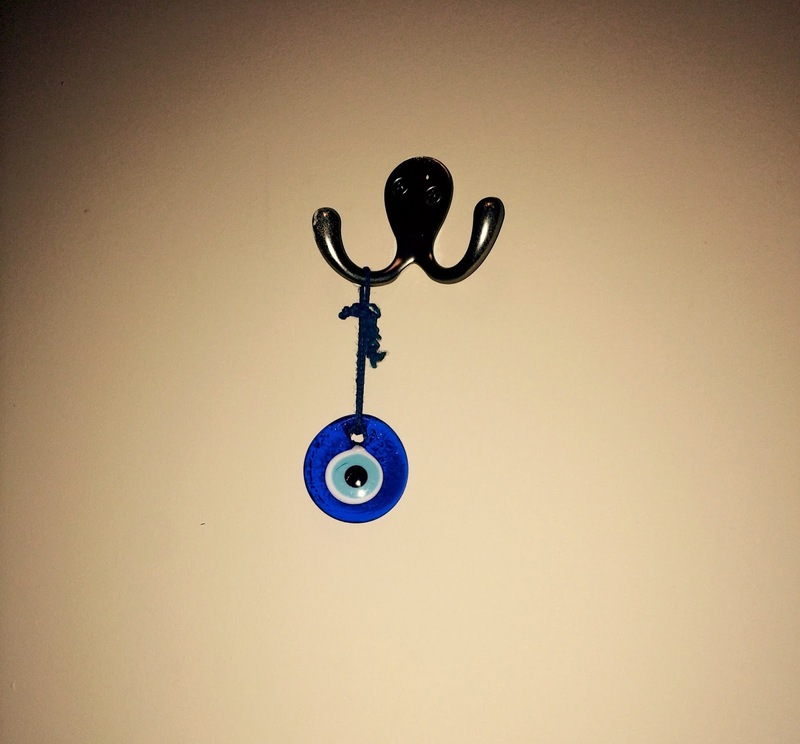 A family friend went to Greece a few years ago and brought us back an evil eye. It has been hung up on the wall near our garage door for about 2 years now. Awesome post. I like how you connected many different cultures to a single belief. It gives that belief much more power when different cultures from all over the world recognize it.